I recently got access to a Silhouette Cameo, a little cutting plotter designed for scrapbookers. 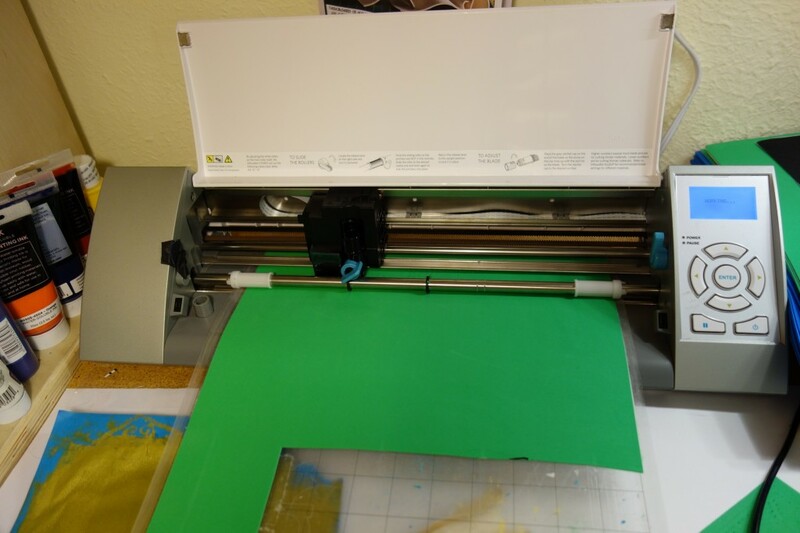 What makes this much more awesome than some of the other tools in this category is that you can cut your own vector images, not just pre-made ones sold on cartridges. So they end up getting used for things other than papercraft – from making stencils for screen printing and spray painting to cutting circuits out of copper tape. 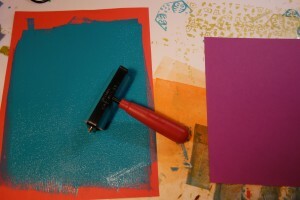 What I’ve recently become obsessed with making with this tool is block prints. 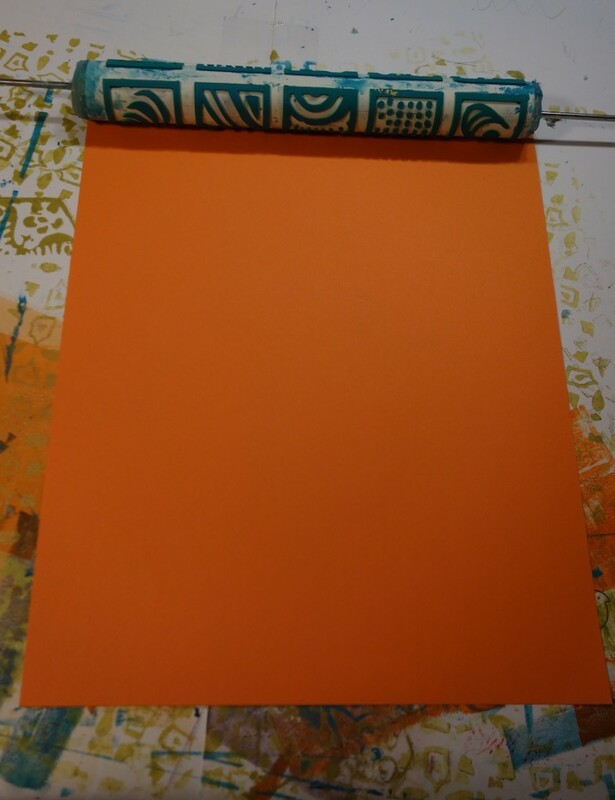 I use a lot of pretty paper from art supply stores for projects, and it gets pricey. So I thought this might be a way to make myself as much paper as I wanted. I ended up doing a bunch of experimenting with different materials and thought I’d write up what I learned. The short version (since I googled for this before trying it and didn’t find a good answer): you can cut self-adhesive 1mm craft foam using the deepest cut setting on the Silhouette Cameo (and most likely other craft plotters as well), and it makes pretty good and easy to assemble stamps. 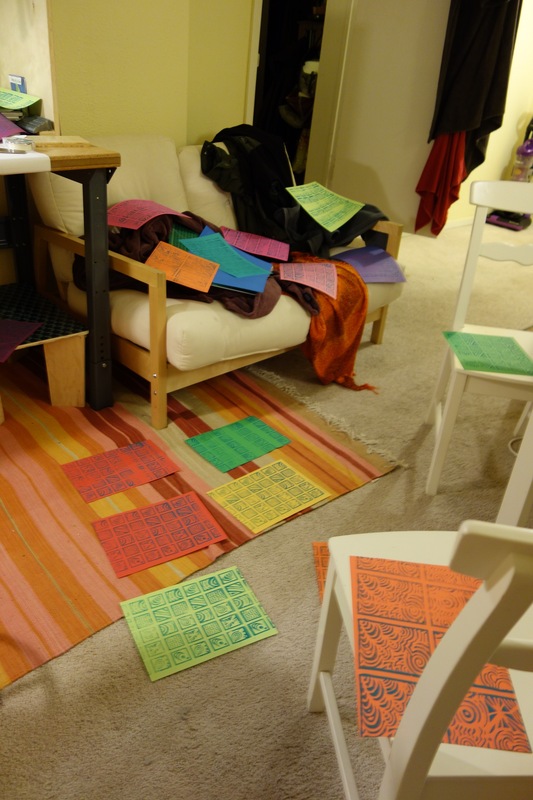 My goal was to make tiled images on large sheets of paper. 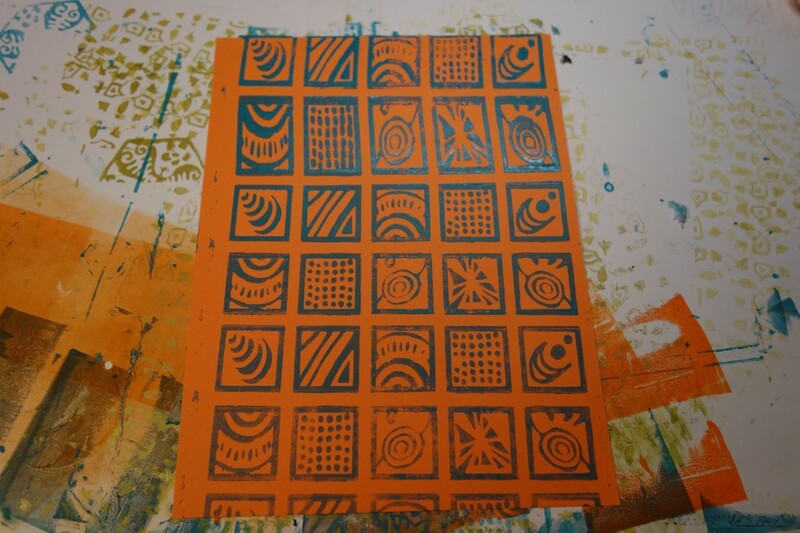 I started out making individual tiles on flat blocks and stamping them one at a time onto the paper, but it took a really long time and was hard to align. I found some little wooden rolling pins at an art store (Blick) and found that rolled on designs worked really well. 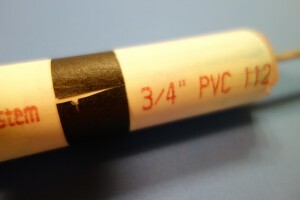 The rolling pins were a little expensive for the size I wanted, so I started making them out of PVC pipe (which is CRAZY cheap – something like 2 bucks for 6 feet). 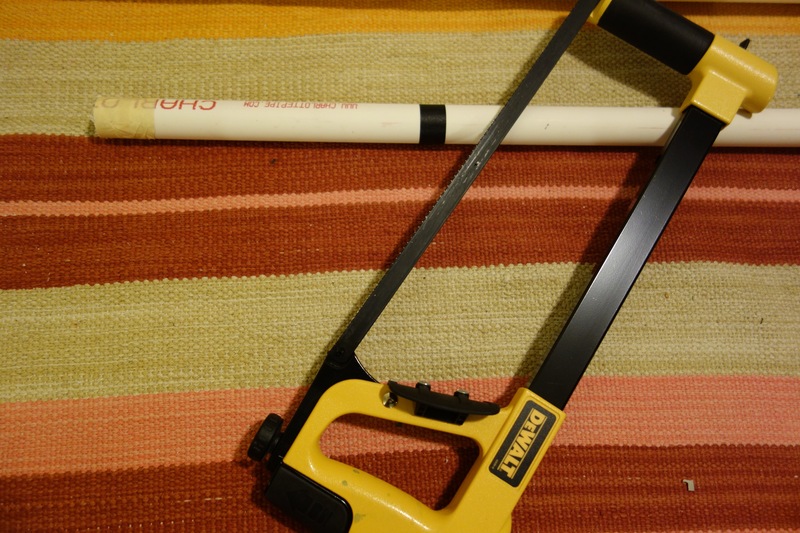 First, use a hacksaw to cut a length of PVC pipe to match your paper size. Use a generous amount of hot glue to cap the ends, making sure no glue sticks out beyond the edge (which would make it not roll as smoothly). 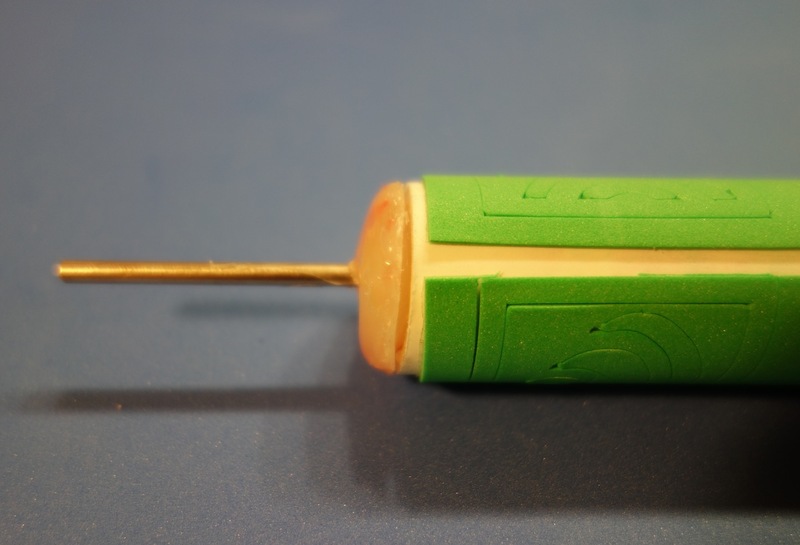 When the glue cools completely, use a power drill to drill a hole slightly larger than a rod or dowel that will form the handle. 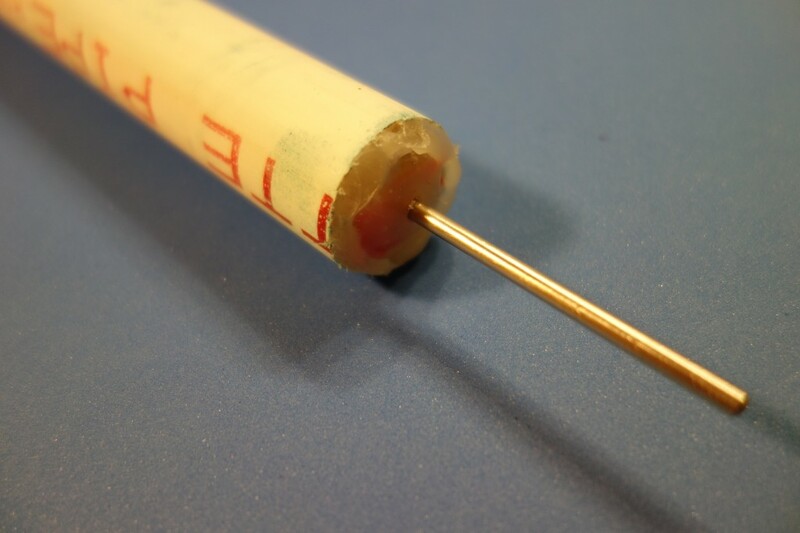 This image shows the hole already drilled and the rod inserted. 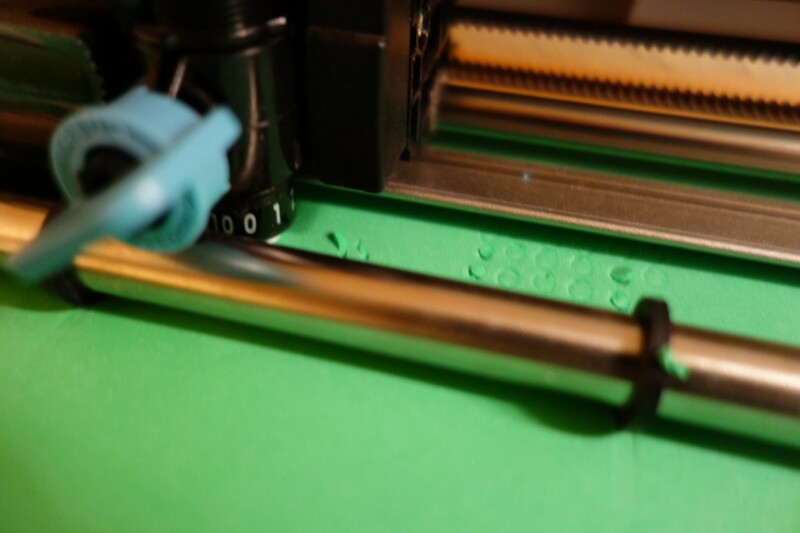 Stick the rod or dowel through the pipe, making sure it spins freely (if it doesn’t, it will be hard to get even pressure when you roll out your print). Here, I used a 1/8″ welding rod cut a few inches longer than the length of pipe. 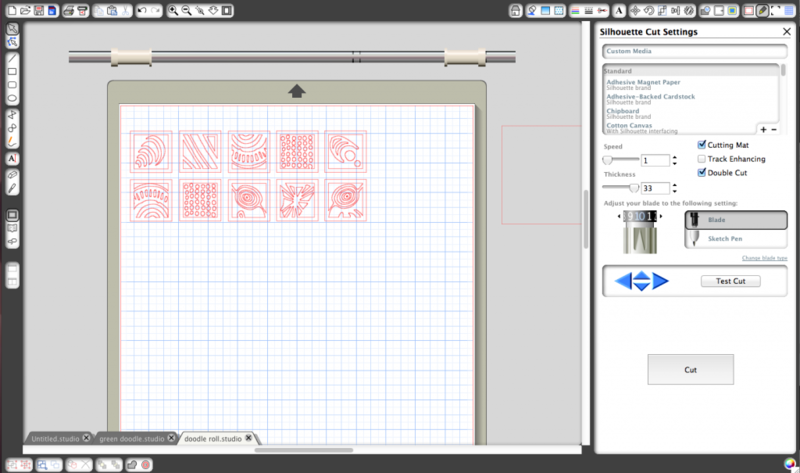 I’ve been pretty impressed by the “trace” feature in the “Silhouette Studio” software that comes with the plotter. 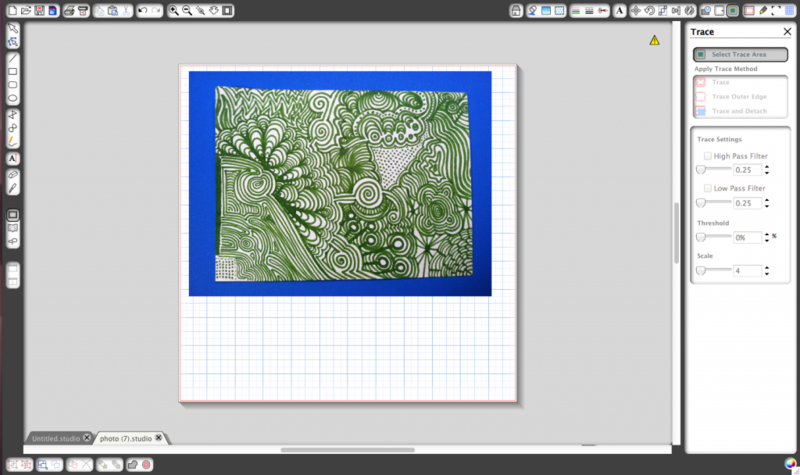 Other vector drawing programs such as Inkscape or Illustrator will also do this. Basically it takes a bitmap image (such as a photograph) and draws outlines around shapes in the image, creating lines that can be cut out. This opens up a bunch of possibilities for getting designs into the computer. I’ve been making designs from photographs of tiles around San Francisco (I love tiles!) 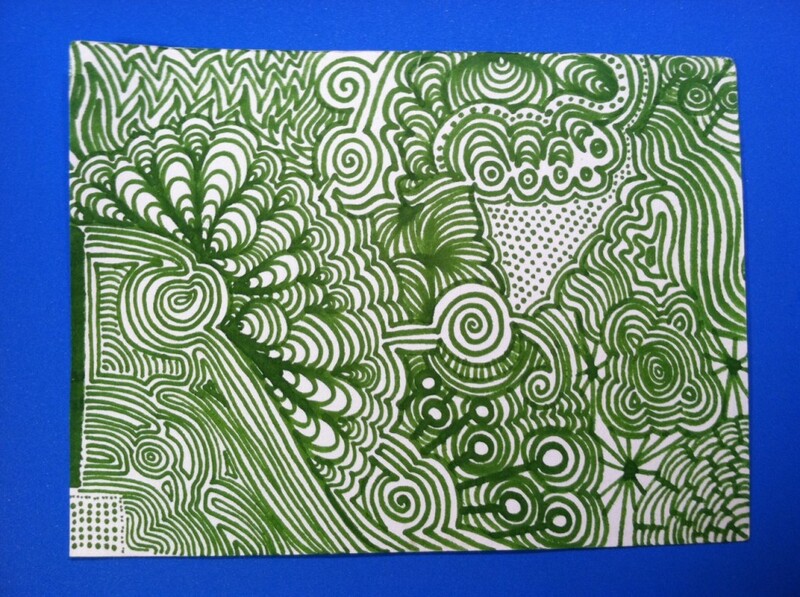 and of hand-drawn doodles. Open the photograph in Silhouette Studio. Select the Trace feature. 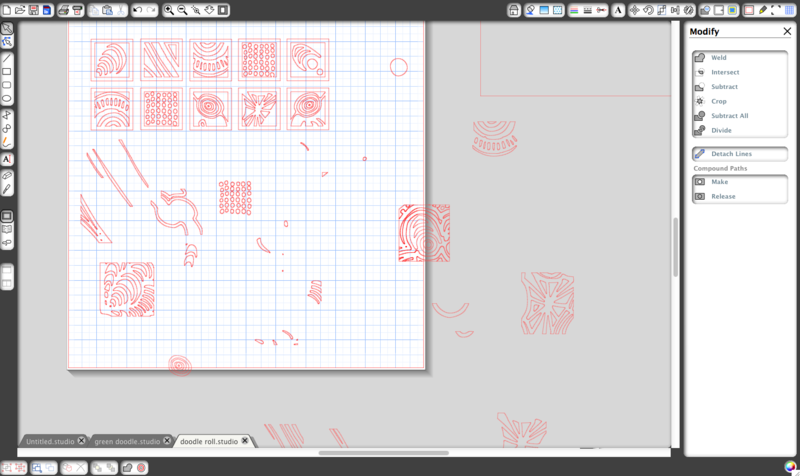 Click “select trace area” and draw around the shape you’re interested in. Adjust the settings until all the important shapes are filled in in yellow. 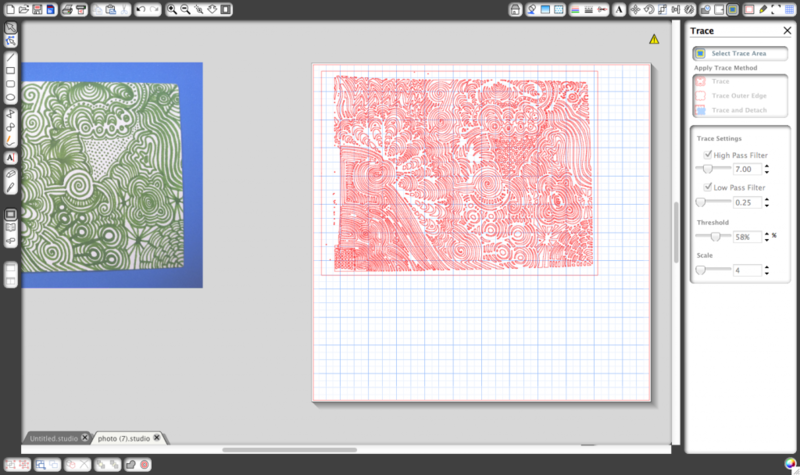 Click “trace.” Now move the photograph away, and you should see some nice traced outlines in red. 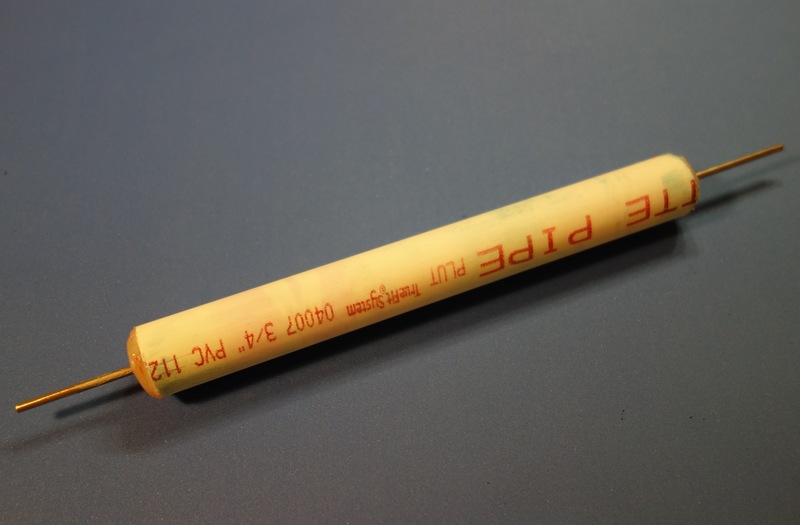 Measure the circumference of your roller to figure out the size you need for your print. If you don’t have a flexible measuring tape, you can wrap some string or tape around the pipe and then use a ruler to measure its length. (You might ask why I didn’t just use the diameter written on the pipe to calculate the circumference…turns out that diameter describes the inside of the pipe, not the outside). 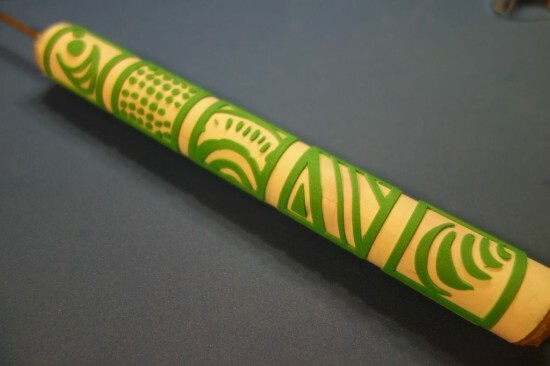 Use the circumference and length of the pipe to figure out how much room you have to lay out your stamp. Then scale your design accordingly. I decided to use some elements from the doodle and put them into little square tiles. Here’s the step where I tried a bunch of different materials. I got excited about the idea of using craft foam, because it’s super cheap and you can buy it with an adhesive backing already attached. But it turns out the cutter can’t cut all the way through 2mm foam. 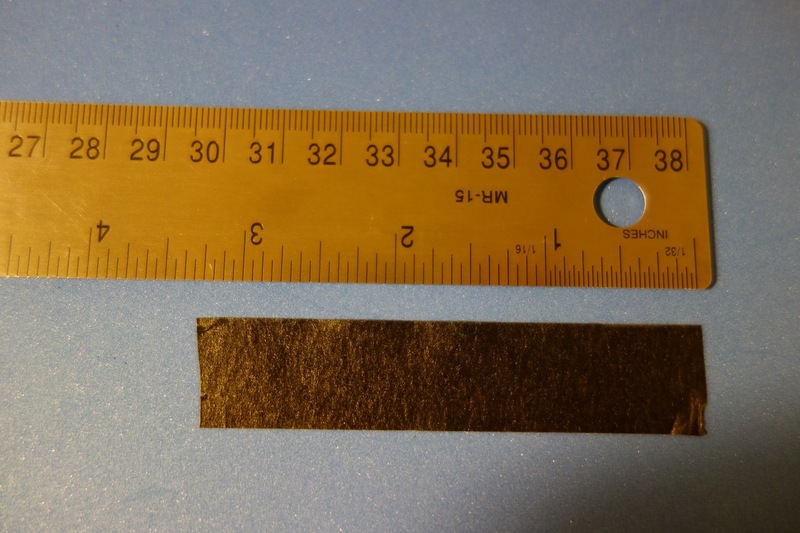 I tried using adhesive-backed magnet sheets, the thickest material the cutter can “officially” cut. It does cut well and is good for details, but it was a bit of a pain to remove the negative parts of the design, and it doesn’t pick up ink as well as I would like. I then hunted through the piles of craft foam at Joann’s for thinner foam, and since they don’t seem to come totally even from the factory I found a few sheets that were thinner than the others. Those worked, but they were uneven in places and I still wanted something with a sticky backing. I eventually found an eBay store that sells 1mm and 0.5mm foam, in both plain and adhesive backed (they sell kind of an odd assortment of things, but it turned out legit and shipped super fast). 1mm turns out to cut and print quite well. Okay, so back to the tutorial. Move anything you don’t want cut away from the cutting area in the software. Set the blade to a depth of 10 (both on the physical blade itself and in the cutting software). Select double cut, it seems to help. 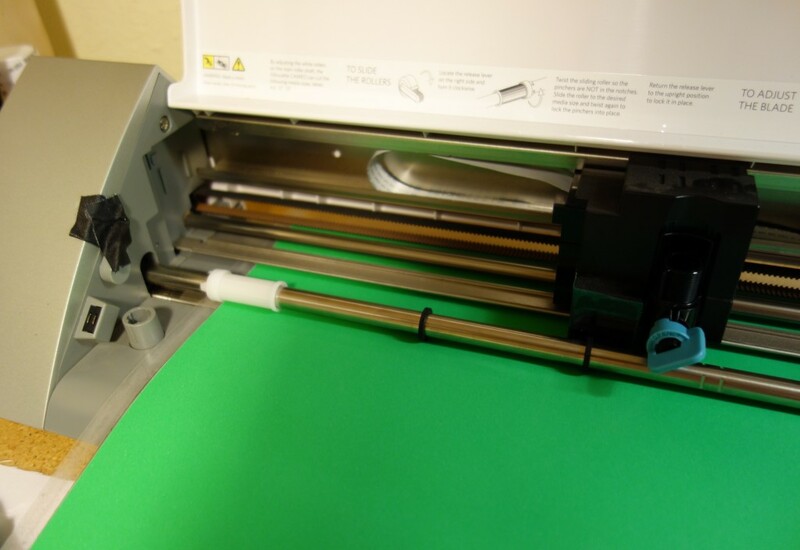 Place some 1mm adhesive backed craft foam on the cutting mat. The peel-off backing is super slippery, so I added some double sided tape to the cutting mat for good measure. Cut out around the completed stamp. Leave some of the edge around it, it will help align it. 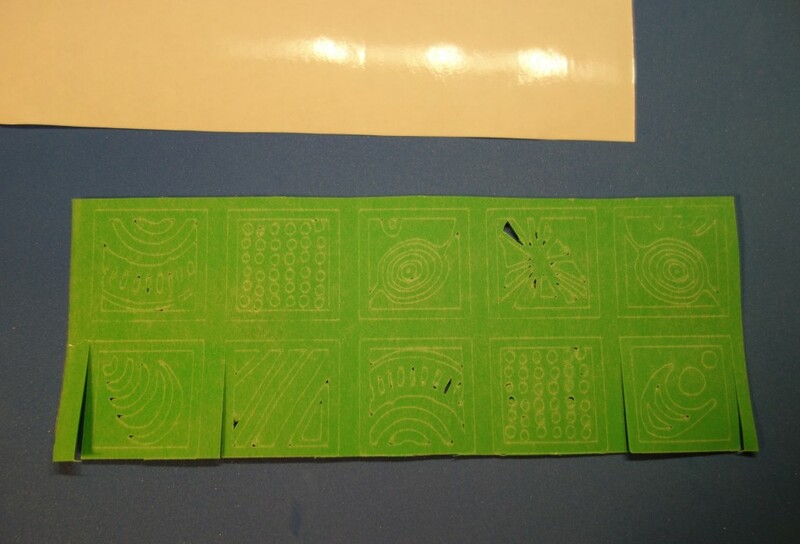 Peel off the backing and turn the stamp over, adhesive side up. Careful, it’s crazy sticky and will stick to you and/or other things and start coming apart if you aren’t careful not to touch the sticky side as you turn it over. 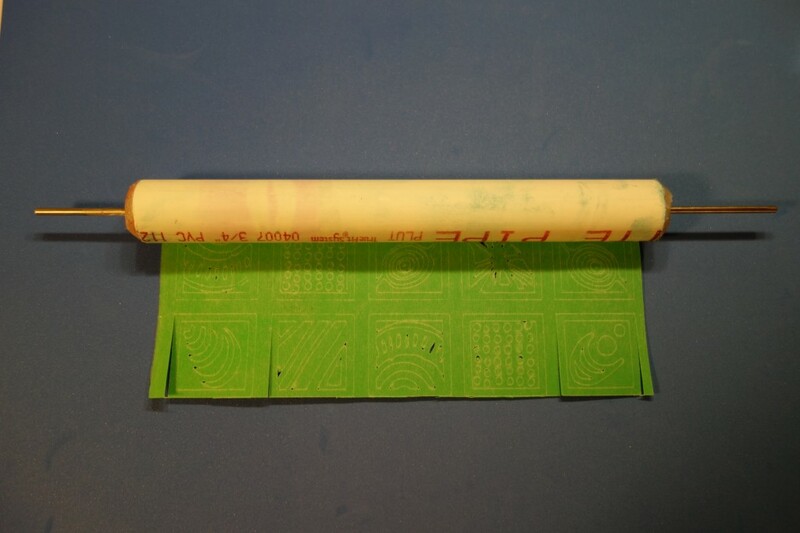 Place the roller at the top of the sticky stamp, and roll it out so that the stamp wraps around it. Now start peeling up the negative shapes. This is fiddly but satisfying. 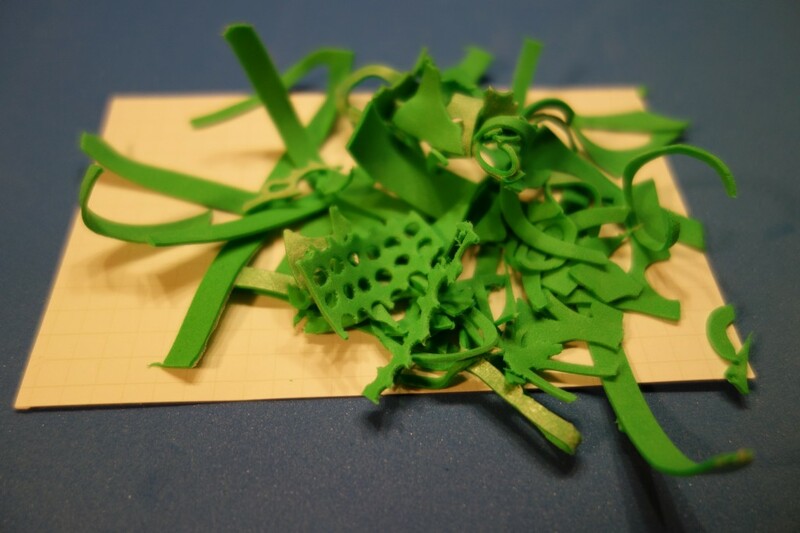 It will totally help you clean up afterwards if you stick all the little bits to a handy piece of scrap paper as you go rather than sticking them to the edge of your desk, as I did the first time. 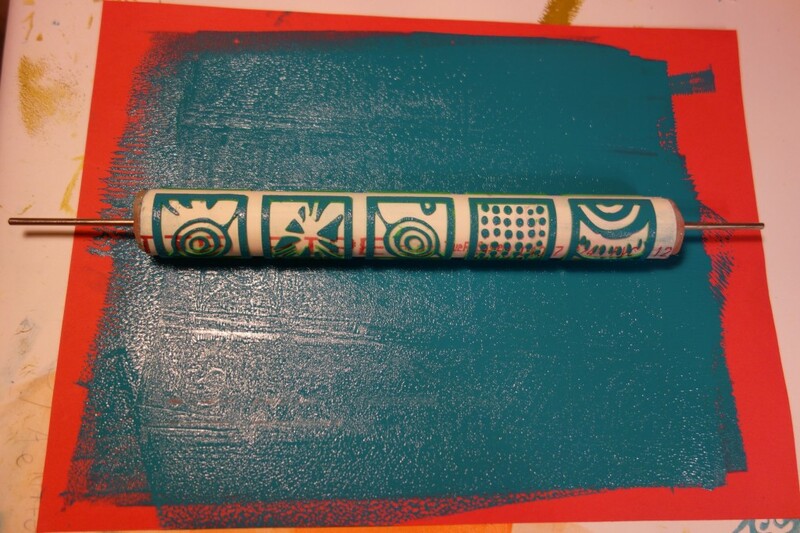 Squeeze some block printing ink onto a piece of scratch paper or a tray, and roll it out using a brayer (a rubber roller you can buy at any large art store). I’m currently using Speedball water-based ink. Acrylic paint supposedly dries too fast, and I didn’t like the clean-up needed for oil-based inks, although they do give you a more permanent print. 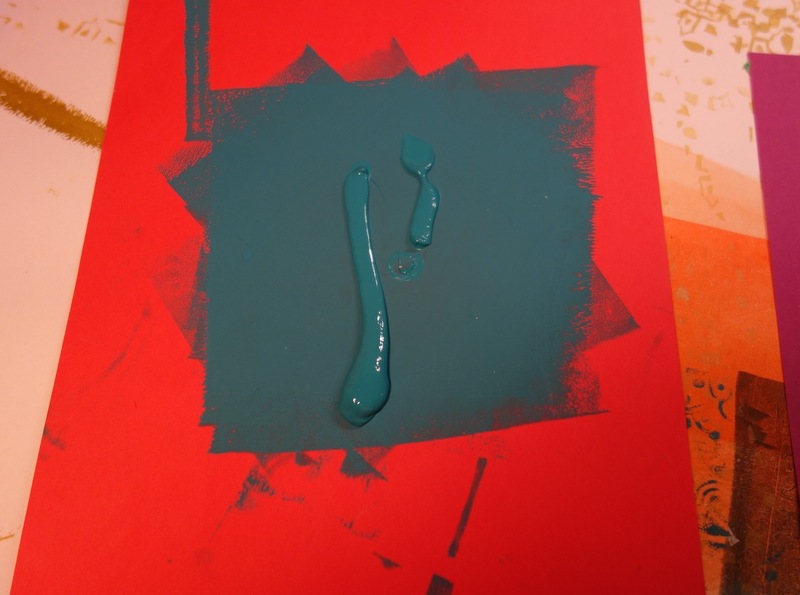 It was cheaper, but I found Blick store brand water-based block printing ink to be terrible (specifically, it was watery and uneven, and it did not make smooth prints. And I tried a few different colors with the same results). Roll the stamp roller itself over the ink that was smoothed and spread by the brayer. Always roll in the same direction for maximum coating efficiency (otherwise, you keep adding more ink to the same part of the roller). 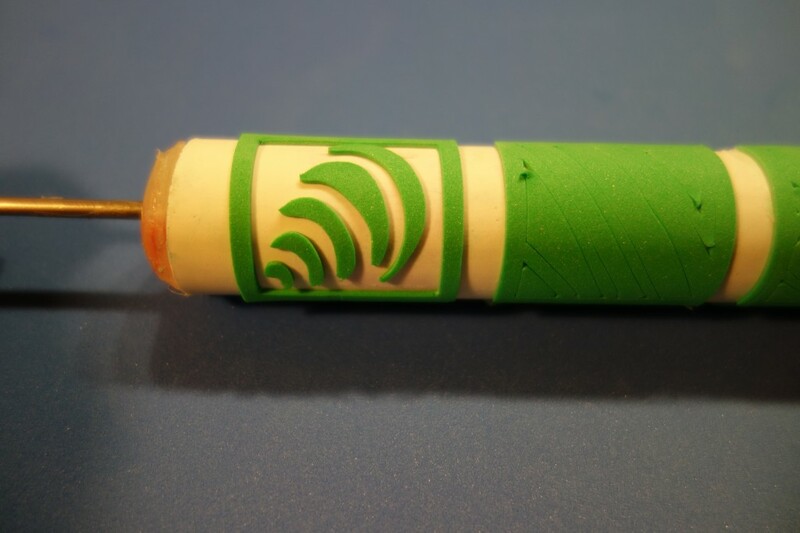 Roll the roller down the paper you want to print on. Tada! 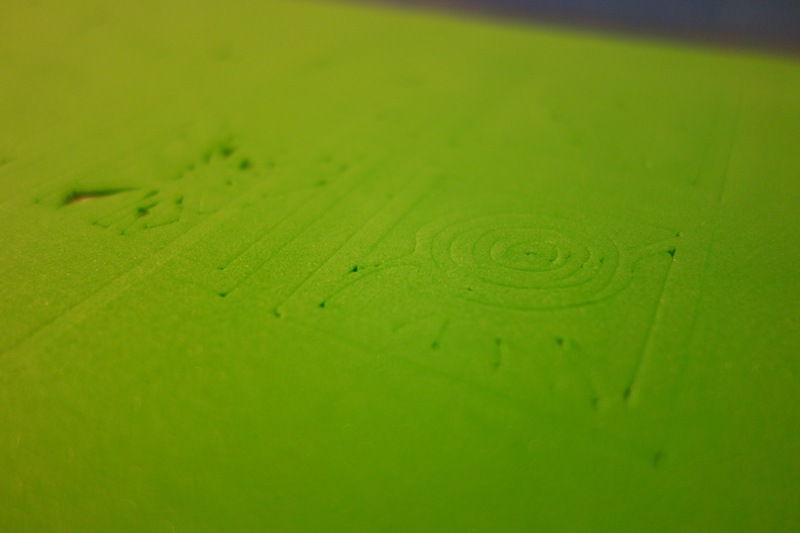 Not a perfect print, the roller slipped – hence the stretched-out second row. 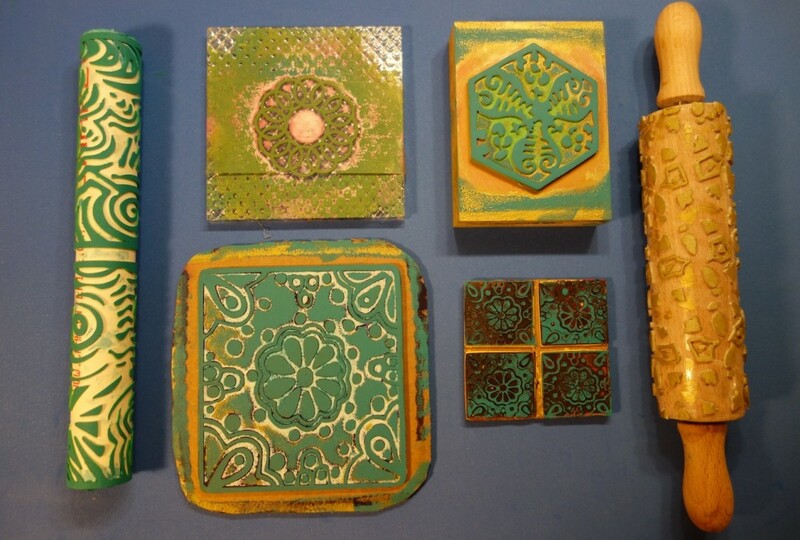 The flower tiles (small and large) are made from adhesive backed magnet sheets, the others are made from craft foam. Backings are whatever I had on hand, including cardboard, wooden blocks, and hard plastic scraps from TAP Plastics. 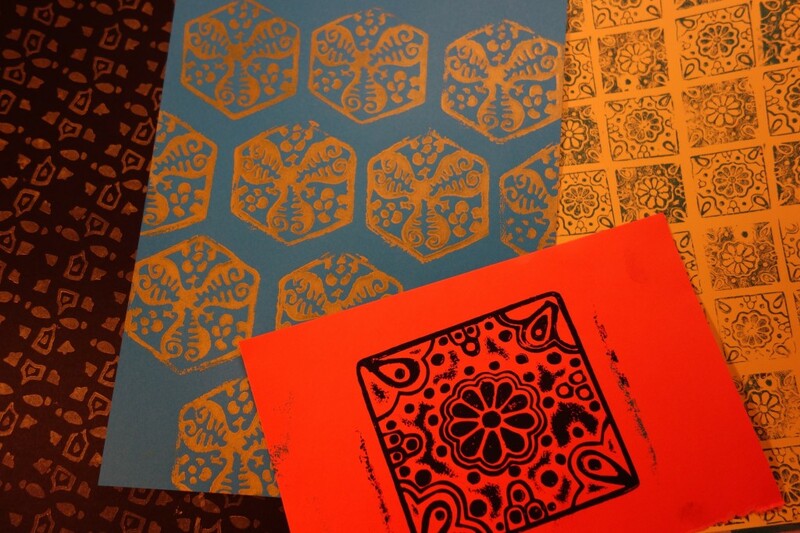 Most of the prints I’ve made so far are designs that look “handmade” – either drawn freehand or photographs of painted (or designed to look that way) tiles. 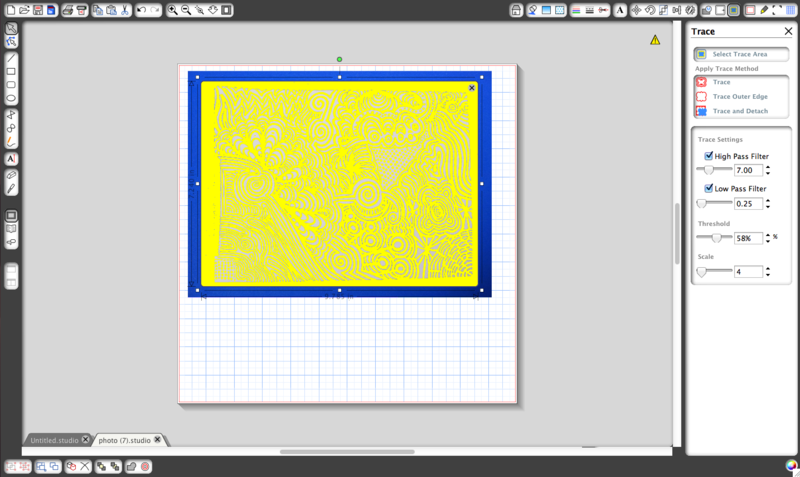 I’m using the digital capabilities of the tool to make it possible to use processes that I like (drawing and taking photographs, rather than carving blocks – not that that’s not fun, but I’m pretty good at stabbing myself with linoleum cutters). 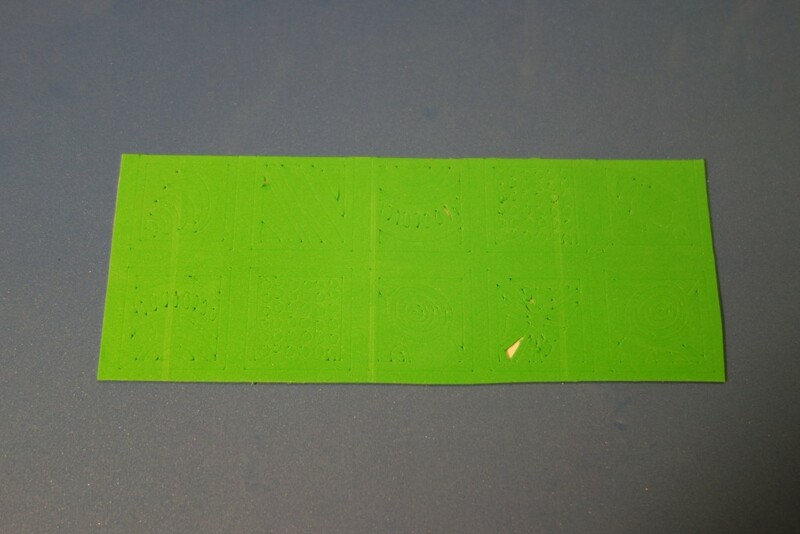 Also, to scale up – if you want to cover an entire page, you can just as easily print rows and rows of tiles. But I’m also working on ways of designing digitally…more on this soon.